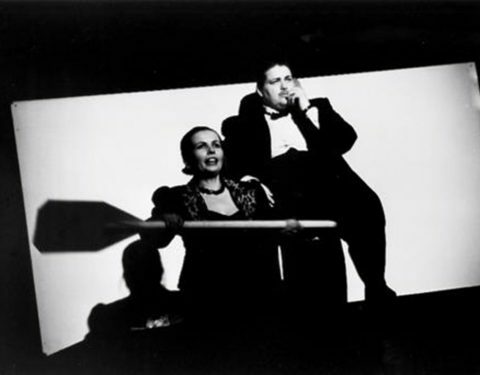 CHANG IN A VOID MOON, the first serialized play ever produced in NY, began in 1982 at the Pyramid Club with Episode #1, won a Bessie in 1985, and has been highly acclaimed through over 50 episodes to-date. The Village Voice wrote, “Chang…proves that childishness and exaggerated foolery aren’t incompatible with a decidedly serious vision of the world.” NY Beat said it contains “the astonishingly fleet, literate dialogue of screwball comedies.” Now in its 21st year, the original theater work returns with members of the original cast in three entirely new episodes. Performers will include original cast members John Hagan, Donna Herman, Ruth Gray, Helena White, Anna Kohler (Wooster Group), Sanghi Wagner, Oscar de la Fe Colon, Lisa Herman (Golden Palominos), Nicky Paraiso (La MaMa/Meredith Monk), Rebecca Moore, Greg Mehrten (Mabou Mines) and Obie Winners Mary Shultz (Meredith Monk), Black-Eyed Susan (Charles Ludlam), Ching Valdes-Aran and David Cale.